DIY Flower Arrangers is your guide to perfect stem placement. Arrangers give anyone the ability to create professional looking floral arrangements in minutes. 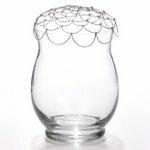 Hand-made and ready to use, this bendable wire grid works with any vase or vessel. Perfect for weddings, events, offices, and household arrangements. Our patented DIY Flower Arranger is a reusable tool for do-it-yourself brides and planners. Flower Arrangers are powder-coated to create an enduring finish for multiple uses. 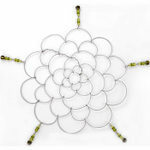 Flower Arrangers are hand-made by women and are constructed of galvanized steel wire. Great for arrangements, bouquet holders, individual place settings, floral ring-bearer pillow, floral trays, the possibilities are endless. Package contents and prices are based on availability and are subject to change due to market conditions. Flower Arrangers 4 Inch fits a vase with an opening up to 3.75 Inch in diameter. Flower Arrangers 5 Inch fits a vase with an opening up to 4.75 Inch in diameter. Flower Arrangers 6 Inch fits a vase with an opening up to 5.75 Inch in diameter. Flower Arrangers 8 Inch fits a vase with an opening up to 7.75 Inch in diameter. Flower Arrangers 10 Inch fits a vase with an opening up to 9.75 Inch in diameter. 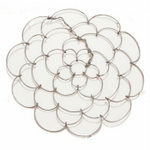 Flower Arrangers 4 Inch square fits a square vase with an opening up to 4 Inch x 4 Inch in diameter. What is the difference between the bead options? 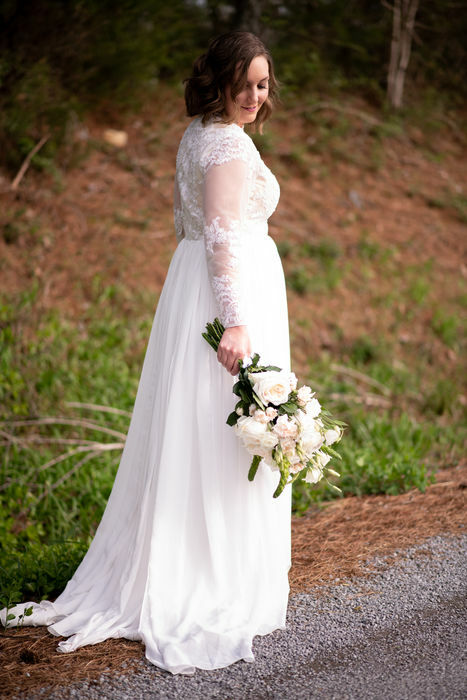 No beads are perfect for brides seeking the convenience of an arranger without added flair. Tassel beads are of premium quality glass for added color and sparkle. Available in 5 colors. This product does NOT contain fresh cut flowers. Simply receive the flower arrangers and keep them on hand until you're ready to start arranging! Below are some tips on using our DIY Arrangers to create professional looking floral arrangements in minutes. Select your vase. Please refer to Product Details for information on ideal vase sizes. Add water to the vase. Your DIY Arranger can either lay flat or be shaped into a dome. To create a dome, simply apply gentle pressue to the center with your thumbs and push down with your fingers. Place your DIY Arranger over the vase and secure by bending outer "loops" over the outside of the vase. Take your prepared flowers (measured and cut to desired length) and insert a flower into the center of the DIY Arranger. Continue to add flowers, working your way outward from the center for a balanced look. Or arrange differently as desired. Enjoy! Easily change the water without altering the arrangement. Simply lift the arranger from the vase. Flowers will stay in the grid while you add fresh water. Change the water and replace the arranger.